Woke @ 0420 local. Power's out. Heat's off. Went to shower and the lights came back on, with the hot water and the smell of charcoal in the air. Checked in for our flight, got a a warm dinner for breakfast, back to the terminal to load. On the plane, engines running at 0800. Also got briefed on what the plane will do if we receive a surface-to-air missile threat or ground fire. And where the emergency exits are. The ride's a little shakier, as I'm laying down on the red stretched-canvas webbed seats. It's kind of like getting one of those quarter-driven massages from a magic-fingers in a cheap motel bed. However, the view is great. A ridge of mountains forcing the clouds upward like waves crashing on a rocky shore. When we landed, there were helicopters buzzing around, some folks out clearing mines, and some fighters taking off. 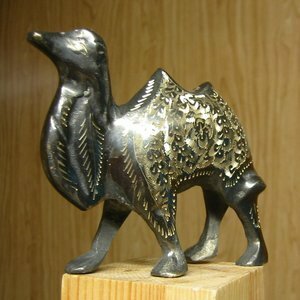 Once we got our stuff stored in CE area, we went over to the base exchange where I picked up a heavy, engraved bronze Bactrian camel trinket. A Bactrian camel has two humps and is native to central Asia. It's nearly balmy outside. Going to try the laundry exchange...supposedly 1-day turn around. After breakfast we visited the dirt testing lab again. 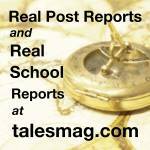 It really is fascinating stuff...if you're willing to sift through it. Ha. Sorry, bad pun. Most of the rest of the day was spent writing our status report of the work we completed this week. I did have to break away and get my laundry before it closed, as I only had a one hour window. Briefed the Lt that we'd pretty much finished what we came here for. Flight out tomorrow, hopefully. The weather was nasty, rainy, and windy. It put a smile on my face. Dinner was BBQ ribs. Went back to CE to wrap things up, on the way passing some lighted reindeer and a snowman. It's not even Thanksgiving and the Christmas lights are up! Went back to my room to pack. It's a good thing I'm wearing my jacket, because I filled up my backpack with souvenirs and there isn't any room left. Fell asleep to the sound of pouring rain. Ah, the cool, crisp morning air. Had breakfast, checked email and then visited the site again. Since it hadn't rained overnight, this looks like the day to finally get our tests done. Went back to CE after observing the soil/water situation. 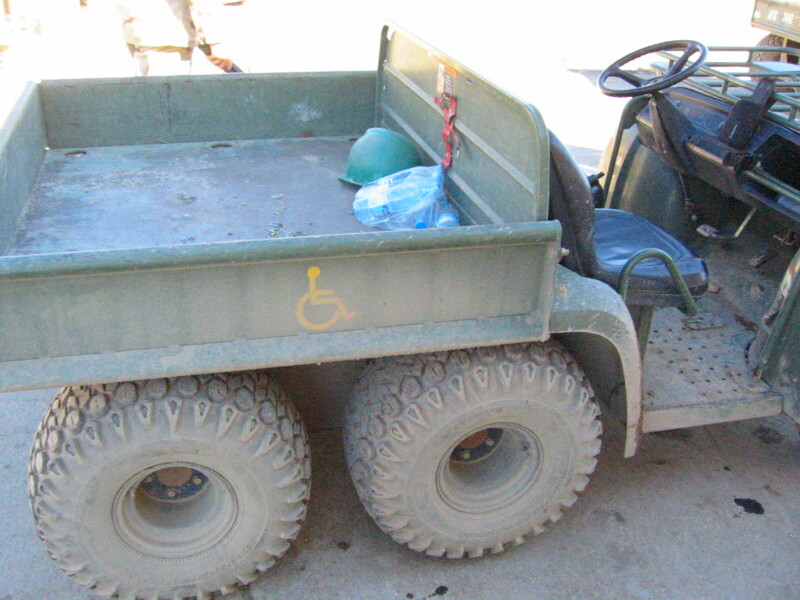 This utility vehicle can park anywhere! Stopped by the Uzbek bank at 10:50, waited until 11:00 for the banker to show up. "Bought" $5 USD worth of local currency. This is the same guy in a suit that we saw walking away from the bank yesterday that I thought looked out of place. We went to lunch after that, then did our tests until just before sundown when we saw a few paratroopers falling from the sky, C-130 overhead, mountains in the background and the rising moon in the blue sky. Very cool way to end the day. We'll probably get out here again in a day or two...have to wait and see. I thought the hot water in the showers was all used up, but it just took a while. Went over the the Civil Engineering office and took a ride with them to the batch plant to see how they test materials used in the project. A few cups of green tea, failure tests, and lots of dirt. Fun stuff. The ground is still too wet to test, so hopefully tomorrow. I watched the latter half of "The Rundown" after dinner. Went to CE to check email and got stopped by a colonel who said we couldn't wear our RED HORSE hats on his base. We said we were allowed, quoted the reg, and even produced a highlighted hard copy. Yeah...he didn't like that at all, but walked away after we told him we were leaving in a few days. Also, today we stopped at the Uzbek bank, which is only open when it has money. The National Bank of Uzbekistan? Really? Went shopping for gifts again, but when I asked about the price the cashier told me that the items were $2-$3. We cleaned out the shelves. As predicted, I slept well last night.The showers have hot water. I almost scalded myself.figuring out the handle. But at least it was warm. There's more cool drizzle this morning. We got breakfast and met the with the other engineers to get up to speed on their project. Since it rained yesterday, we should be good for tomorrow. Visited the site- very rural, but for the MiG-29s and Su-27s. Kinda weird to see them up close. Since everyone here takes today off, we had to too. Fortunately, there was a bazaar and I got some locally made gifts. I walked around a bit more to see what there was to see. There is nothing to see here: "Use of Deadly Force Authorized"
I watched a volleyball game between the engineers and the logisticians, then went to the movie theater that had 45 couch-like seats and watched "the Big Lebowski" while it rained. Went back to the chow hall for dinner, then to the exchange again. Then played cards for about 45 minutes. The locals here are a mix of Russian, Asian, and Persian features...but leaning toward Russian. Showered at midnight, showed up for the bus at 0100. Went to the passenger (PAX) terminal and waited for a half hour to learn that the flight was cancelled/delayed. Went to breakfast, then watched most of "Without a Paddle" in the theater, followed by most of "Troy" at Charlie's. Back to the PAX terminal, where we learned that our route in now direct, on a C-130. Snagged a little more breakfast, logged into email for a few minutes, and then back to the PAX terminal where we eventually boarded. On the plane after nine hours of waiting and two more cups of coffee. I got a "window" seat, if you can call it that. At some points, the clouds and snowy peaks merged into the haze, right around sundown. I stood in the cockpit for a few minutes as we went through the clouds. We arrived around 1800 local and were greeted by a cool light mist. The mist hung around all night as we got our bearings. It rained earlier and there's mud all over the place. I overheard some Russian spoken by the dining facility staff, and the chow hall had steak and shrimp and great tasting potatoes. I'm sharing a room with the two other guys on my team, but one of them is a clean freak and has swept out his little compartment area already. We get around 6x8 feet of personal space. I plugged in my camera battery charger because I was snapping pics like a maniac on the plane ride. In bed at 6:30 Doha time, 8:30 local. Our day started 18 hours ago and I've only napped a little in the last 36 hours. Gonna sleep well tonight, despite the lumpy pillow and super soft mattress.